Party planners in the U.K. can opt to have Grey Goose send out a professional mixologist to bar tend events of up to 30 people. Part of getting prepared for the holidays is making sure your bar is properly stocked. But if you, like many people, tend to only host parties around this time of year, knowing the right combination of liquors and mixers to fill out your bar cart can be tricky business. Plus, even if you do put all the right ingredients in front of guests, who’s to say they’ll know how to whip up the perfect cocktail? Meanwhile, you sure as hell don’t want to be mixing drinks: You got cooking to do. Now, Grey Goose has the answer, not just to your vodka needs, but for the whole conundrum. The well-known Bacardi Martini-owned French vodka brand has introduced a private bartending service specifically for the holidays. Called the Grey Goose Cocktail Concierge service, the package – which appears to be available exclusively in the United Kingdom – promises to plunk a professional mixologist in your home, along with seasonal ingredients and the necessary glassware, to create festive cocktails for up to 30 people throughout December, according to The Drinks Business. The site specifies that a couple of the brand’s select seasonal mixed drinks include an espresso martini and a Grey Goose le fizz, which is vodka, soda, lime juice and elderflower cordial. As might be expected from a vodka brand that positions itself as a premium product, said concierge service isn’t cheap: It comes at a cost of £2,000 – or over $2,600. You could likely find a non-Grey Goose-branded private bartending service for a lower cost. However, when stocking your bar, you also have a choice between Grey Goose and a plastic handle of the cheapest vodka you could find at the liquor store: Sometimes people prefer to pay more to go with a name they recognize. 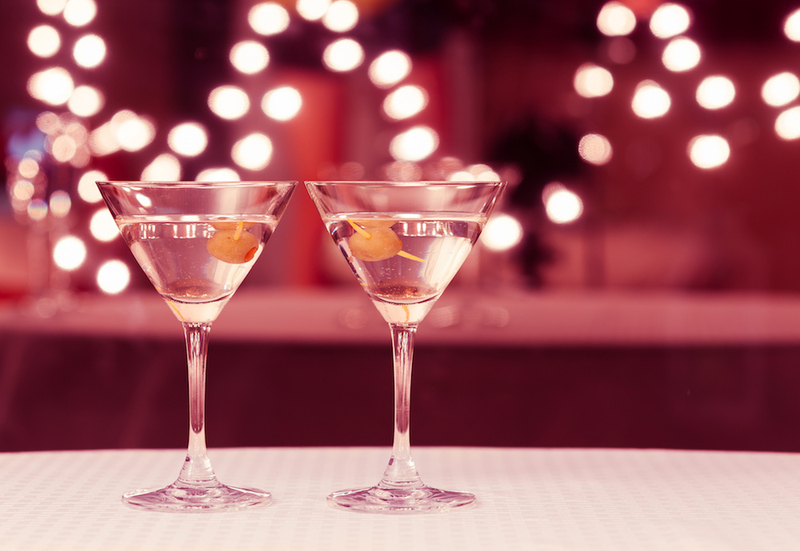 So if you want to splurge and say that your holiday party features Cocktail Concierge service from Grey Goose, go for it. At the very least, maybe then everyone will finally choose to come to your Christmas party instead of going Rick’s place just because he has a kegerator.